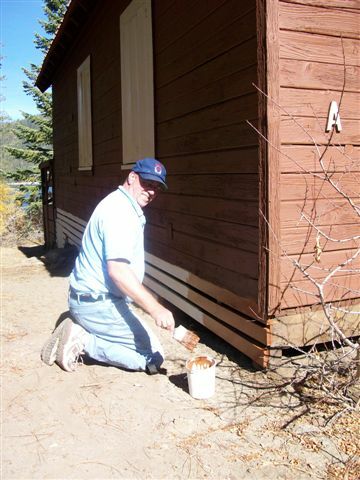 Memorial Day weekend is traditionally when our owner group goes up to our rental cabins at Huntington Lake to open them up and get them ready for the fifteen-week rental season, which should start a week from tomorrow. Last year we lost the first rental week due to snow. Someone told us that was a once-in-fifteen-years type of thing. They were wrong. So what we should be doing: painting, cleaning the cabins, hanging the curtains, plumbing maintenance, etc. Not happening. Mark and I have been taping and watching the final episodes of Oprah for the last month. We have been sporadic viewers. But these final episodes have been interesting, especially as she looks back over the last twenty-five years. And remember. She and Mark are "tight" since they both started their careers in the same year. *Find you passion. Whatever you are supposed to be doing, embrace the life that is calling you and carry it forward. I'm working on finding my passion. I know creativity is an essential part of my life. *People make bad choices, blaming everybody else but themselves for the state of their lives. This one really hit home. Choices and consequences. Choices and consequences. *When you know better, you do better. Keep on learning. Keep the spark of knowledge burning. *Nobody but you is responsible for your life. You are responsible for the energy you create for yourself and the energy you bring to others. We have the choice to be happy, to love, to forgive. We can't control what other people do for us or to us. But we can make good choices because we have that capacity, and our life is our responsibility. I've never been an Oprah watcher, but those are all excellent points to consider and to put into practice! Sorry about the cabin situation. I hope the warm weather comes soon for you. We're all getting pretty darned soggy up here in Vancouver. I'm ready for summer any minute! I was wondering about how soon you would be able to open up. 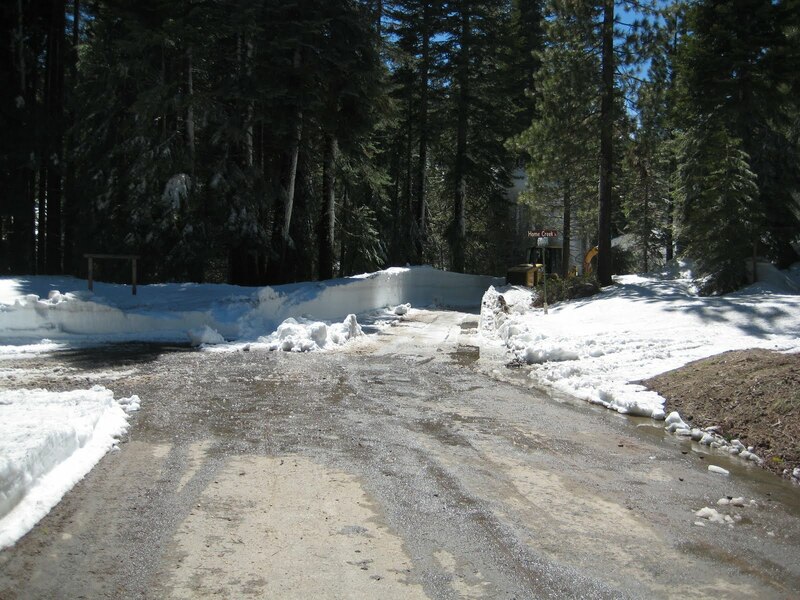 I cannot believe how much snow is still there. 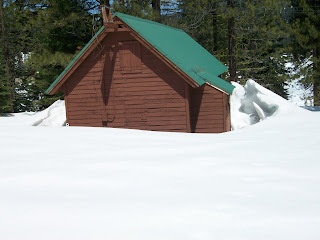 I am wondering what our camping experience will be like this summer at 10,000 ft. up in the Sierras. Oh no, snow still? How horrible! It's felt like summer here for the last 3 days but it was chilly as could be till then. Good luck with the bag! Can we have Mark's 'words of wisdom' from the last 25 years tomorrow? I just loved this. Really great post. Thanks for sharing the Oprah insights. I haven't watched her in a while but she does have some good sayings and things to keep in the front of your mind. Sorry the snow changed your plans! I was wondering if you still had snow up there. We tried to figure out a weekend to come, but you were booked up when we were able. Maybe next summer we can get up there!! We are going to Bass Lake the second week of August though. Can't wait. About Oprah...I have not been watching her faithfully for the past few years, as I have the care of my little grandson, who has commandeered the telly at that hour, and I forget to tivo it. But I adore her. And I did tivo and watch the last episode. I, like you, was struck by her raw and genuine gratitude to her viewing audience. I think she is such a lovely person, and I was very touched by what she had to say. It was a very though provoking hour, and I have found myself reflecting back on it several times. I did not erase it either. I aim to watch it again.